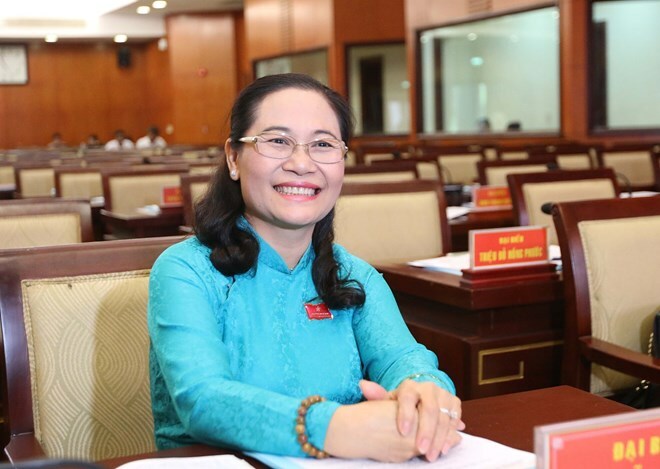 HCM City (VNA) – Nguyen Thi Le, deputy secretary of the Ho Chi Minh City Party Committee and head of the committee’s Organisation Commission, was voted on April 8 as the new head of the municipal 9th People’s Council for the remaining period of the 2016 – 2021 tenure. Le was elected to the new position by winning 93.54 percent of the total votes of 93 delegates at the 13th meeting of the council. Born in 1967 in the local Cu Chi district, she has a master’s degree in administration law. Currently, she is a member of the council. Participants also voted to dismiss Nguyen Thi Quyet Tam from the position of the Chairperson, Truong Thi Anh from Vice Chairperson. Meanwhile, Huynh Cach Mang was also removed from the position of Vice Chairman of the People’s Committee.